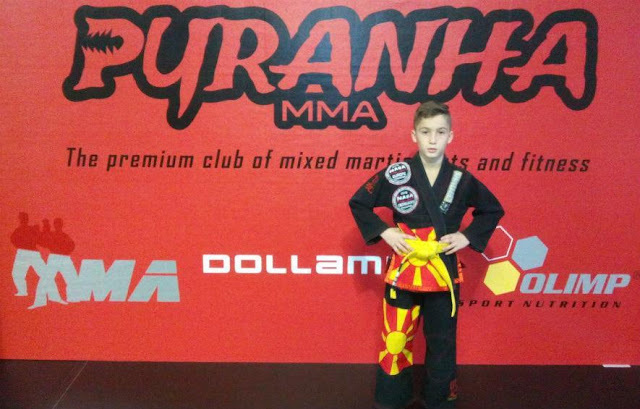 The little Kristijan Vodenski on Saturday in Prague will represent Macedonia at the European Championships in grappling in the category up to 30 kg. He is part of an elite class of fighters in his age so he will be an opportunity for great battles against Alexander Zaytsev from Russia and Martin Korinek from the Czech Republic. For Vodenski this is just another competition on which he will perform under the flag of Macedonia, so he continues with the performances on the championships, and so far has 40 trophies in several categories. At the grappling championships he is expected to continue in the form he is in. It's about a discipline that is a mix of several different martial arts such as wrestling, judo, and there are actions that can be seen in MMA fighting, but strikes are not allowed. Given that Vodenski has a great knowledge of all those martial arts, he is expected to be up to the task. 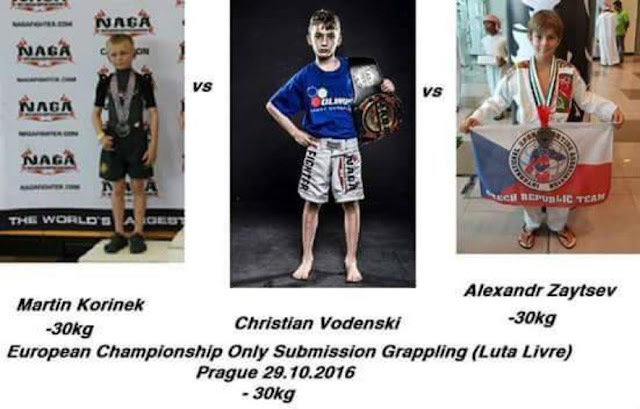 Competition in Prague will have no lots or each will have the opportunity to show his qualities against everyone. However, when you see the treasure of trophies that is behind him, the reason for optimism is justified and he is expected to be in good shape against Zaytsev and Korinek and in contention for victory. Vodenski has been active for several year, and although he is only 11, has already shown that represents Macedonia worthily. He has won many titles and several championship belts from several competitions. From what can be seen from the videos that are uploaded on YouTube, he definitely manages perfectly in wrestling, but also in kickboxing. He has participated in fights in MMA and works with great coaches, so his time is coming and we expect his progress in the future showing all his abilities. He lives in Germany, where he trains, and consistently takes part in matches where demonstrates that for his age is far ahead of the other children. Also he has won elderly athletes, so all that is just a big plus and definitely reason for a big expectations on Saturday when we all will keep our fingers crossed for Kristijan, for joy and a new title for him and Macedonia.